Blocked Drain Cheltenham for fast drain unblocking. Call 01242352766! Blocked Drain Cheltenham – if you’ve got a blockage, you can be sure that we’ll clear it! Blocked Drain Cheltenham is a 24/7 drain business; we’re available at any time of the year, whether it’s a Saturday, a Sunday, or even Christmas day! Even though we’re available around the clock, we’ll always be with you as soon as we can – usually within two hours or less! Call today on 0124 235 2766! So, if you’ve got a blocked drain, or any other problem, call us today! We can provide you with a free, no-obligation quote, and there’s always a friendly voice on the end of the phone. Call us today on 0124 235 2766. We’ll be waiting! Blocked drain Cheltenham is your local drains specialists covering the whole of the Cheltenham and surrounding areas with comprehensive drains services for all occasions and drain problems. Blocked drain Cheltenham don’t charge you an arm and a leg, and thanks to us not charging call out fees and not charging VAT on any of our services our already competitive rates are made even more so. Blocked Drain Cheltenham are here for if and when you need our services 24/7 with fast response times to suit you and your schedule whenever you may nee dour services. Call now and speak to one of our trained office advisors today about all of the amazing services we offer for you and your drains. 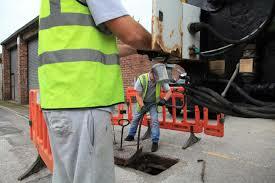 Blocked Drain Cheltenham are local, honest, and reliable, if you call us we won’t let you down. We approach every job with a professional attitude no matter how big or small. Call ow and see why we’re Cheltenhams trusted drains specialists. 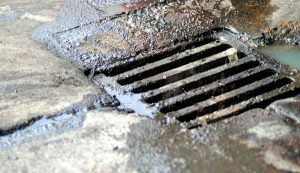 Blocked Drain Cheltenham are your local number one comprehensive blocked drain and other drain issue specialist for the Cheltenham and surrounding areas. 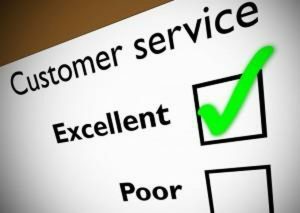 With no call out charges and no VAT we’ll make sure we can get someone out to you right away or at a time to suit you. Blocked drain Cheltenham are here to make getting your drains/toilets/showers unblocked as easy as it can possibly be and with office advisors on hand 24/7 to take your calls and give advice at all times of the day and night we think we’re doing a pretty good job. 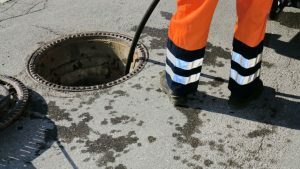 Call now and speak to one of the professional office advisors at blocked drain Cheltenham today and we’ll make sure your expectations are met and then some when we come to sort out any drainage issues you might be having whether big or small. Call today! Here at blocked drain Cheltenham we don’t charge for call outs and we don’t charge you VAT either that means when you call us today and speak to one of our friendly advisors about the services we provide and the prices we charge for those services you won’t have to do any maths to work out the total price and you don’t have to be worried about any extra charges because what we quote you is what you pay. This is just one of the many ways we make sure our already comeptitive prices stay as low as they possibly can for our customers. 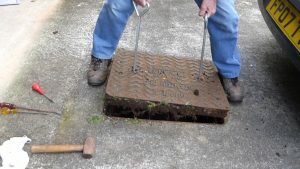 Blocked drain Cheltenham have over 20 years experience and all the tools and skills to make sure any blocked or damaged drain can be a thing of the past, today. Call now and explain what’s wrong and our trained office advisors will guide you through to the best solution for your problem with an ETA on arrival and a quote for the work, it’s never been easier to get your drains unblocked in Cheltenham. Call today! Here at blocked drain Cheltenham we’re dedicated to providing a bunch of great services for you and your drains whether you’re at the home or you’re at your place of work blocked drain Cheltenham are always around 24/7 365 days of the year always ready to make sure your drain troubles a thing of the past, today! Call our trained advisors and find out why blocked drain Cheltenham is the number one local drain service provider in the Cheltenham and surrounding areas. Blocked drain Cheltenham are dedicated to providing a fast and competitively priced service for you and your drains if and when you need them whether emergency or non emergency. Call today and don’t pay a call out charge and don’t pay any VAT, jut one of the many ways you know you’re getting the most out of your money when you choose blocked drain Cheltenham. Call now and see what blocked drain Cheltenham can do for you today! Blocked drain Cheltenham are a small local outfit operating across the whole of the Cheltenham and the surrounding areas and do so 24/7 365 days of the year with no fuss and fast response times, whether you need assistance now or at a time to suit you we’ll always be around to provide. Blocked Drain Cheltenham has all the tools and services available to make sure any drain troubles that you might be having can be a thing of the past, today! Call our phone lines today and speak to a professional and trained phone advisor who will help to find the best solution for your blocked or damaged drains. What’s more is that as well as being competitively priced we also don’t charge call out fees AND we don’t charge VAT and that makes our prices even more competitive than they already were. Call today and speak to one of our trained advisors about the services we offer, our availability to provide those services and most importantly the price you’ll be expected to pay for those services. Call today and speak to one of the professionals and get your drain problems sorted today! Come to blocked drain Cheltenham for all your drain services in the Cheltenham and surrounding areas today and you won’t pay a single penny in call out fee AND you won’t pay a single penny in VAT either and that’s just on of the many ways you know you’re getting the most for your money when you come to blocked drain Cheltenham, today. Blocked drain Cheltenham are your number one for all blocked and damaged drains in the Cheltenham and surrounding areas and offer a wide range of services to help you solve any drain problem you might have and make it a thing of the past, today. 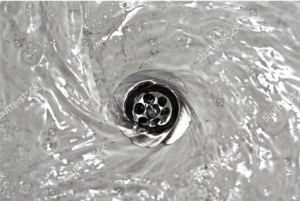 Call blocked drain Cheltenham today and speak to one of our trained office advisors about all of our fantastic services including drain jetting and CCTV drain surveys to help you to forget your drain worries and focus on the more important things in life. Call now and speak to a professional today! Here at blocked drain Cheltenham is here 24/7 365 days of the year ready to tackle any drain issues you may be having in the Cheltenham or surrounding areas, no fuss, no messing blocked drain Cheltenham is around all the time if and when you need us. With fast response times to emergency and non emergency call outs with no VAT or call out charges, blocked drain Cheltenham come out to you at the drop of the hat and can fix any drain related issue you could be having. From drain unblocking services to drain repairs blocked drain Cheltenham can do it all, we can even diagnose drain issues with our CCTV drain surveys which will be sure to tell us what’s going on in your drains without the need to rip up your garden in the process. Blocked drain Cheltenham are here for you when you need us, we’re waiting to take your call, with no pushy sales people to sell you things you don’t need blocked drain Cheltenham will put you straight through to a trained advisor who will try to find a fix to your issue as soon as possible, and not just a quick fix our blocked drain Cheltenham team are here to give you advice on the most cost effective way of clearing or repairing your drains. Call blocked drain Cheltenham and speak to our friendly office staff today, we won’t make you speak to automated messages and would never leave you on hold for half a day waiting to speak to the right person for your particular problem. Blocked drain Cheltenham haven’t got any wrong people for you to speak to. So call us now and see what blocked drain Cheltenham can do for you, today. 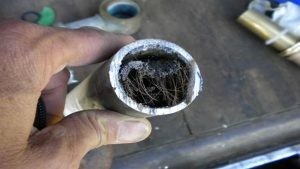 We can also identify potential underlying problems with your drains. If these problems would have gone unnoticed they could develop into much bigger issues. These issues would cost more money and cause more damage. That is how CCTV survey is saving you time and money. A CCTV survey can be useful in establishing the most effective course of action if there is a blockage, particularly whether an excavation or drain relining would be more appropriate. 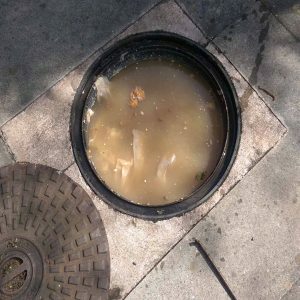 If Blocked Drain Cheltenham locates a blockage during your CCTV survey they can clear the blockage there and then using high pressure water jetting to thoroughly clear the area of drains that have been affected, forcing the blockage to break apart until the water runs smoothly. Here at blocked drain Cheltenham we’ve been seeing everyone out in the sunshine enjoying themselves, and our customers kept asking us funny questions. There’s no doubt that the sun and the heat from it is making our job a lot harder and a lot smellier, but our customers have been asking us what it means to them and us as a business. Are you going to be waiting for this heatwave to pass said one customer, the answer is no, blocked drain Cheltenham is open for business as usual that means our response times and that as relates to the other question we kept getting asked. Are you charging an extra rate because of the weather? Absolutely not, that’d be like charging more for when it’s raining, and blocked drain Cheltenham would never do that. Blocked drain Cheltenham is here to provide a quick and painless drain unblocking service for the people of Cheltenham and the surrounding areas, as especially in this heat we don’t want to put you under any more stress than you’re already under! Call today and book one of our team to come and sort your blocked drain Cheltenham out, or if you’re in an emergency and need assistance right away, just give us a call and we’ll come straight to you and sort your pesky blocked drain. 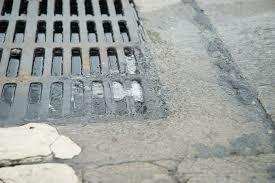 Blocked drain Cheltenham are here for you when you need us any time any weather. Call now and see what we can do for you today. Here at blocked drain Cheltenham we offer fast response drain relief for if and when you need it across the whole of the Cheltenham and surrounding areas. Our team of skilled drain specialists have over 20 years experience and all the tools to make sure any drain issue can quickly become a thing of the past, today. What’s more is that we’re open 24/7 365 days a year and we don’t charge you for a call out neither do we charge VAT added on the end of our bill. So if we quote you a price that’s exactly the rate of pay you’ll be expected to pay. Call our phone line today and speak to one of our trained office advisors today. It’s up to you when you call as we’re always around so don’t feel like you have to squeeze in a conversation, call us anytime you like and get the service you desire with the friendly office staff at blocked drain Cheltenham. We don’t employ sales tactics on the phone, we just want our advisors to provide information and let an informed customer make the decisions for themselves. Blocked drain Cheltenham provide drain cover for all types of drains, including internal and external drains. And blocked drain Cheltenham also has all the tools for all drains no matter whether the drains are industrial, residential, or commercial. We’ll have something for your drains to make sure whatever the issue, that it becomes a thing of the past, today! Call now and speak to the drain specialists. Here at blocked drain Cheltenham we deal with all sorts of sights, from blocked drains, to unidentified drain problems to full drainage systems that need repairing, the point is we deal ad have dealt with it all, with over 20 years experience blocked drain Cheltenham are sure to have all the tools, skills, and experience to fully diagnose, repair or unblock your drains, and what’s more is that blocked drain Cheltenham are open 24/7 365 days of the year which not only does this mean we can get to you in a flash on the same day that you call us but we can also come out on set times and days that other companies just aren’t prepared to work on, this makes blocked drain Cheltenham you’re best local trusted drain unblocking service for the Cheltenham and surrounding areas. Blocked drain Cheltenham know that it’s a real pain to get your drains unblocked especially when these things tend to come at the worst times financially, that’s why blocked drain Cheltenham really push to make our service as easy to use and as streamlined as possible with the aim of not causing any more stress in what could be already a very tense situation. Blocked drain Cheltenham are here for you, but aren’t pushy sales people on the phone we understand that some people like to shop around and get the best deal and if that’s what you require then that’s what we’ll give to you. Blocked drain Cheltenham will never make you speak to automated messages or anything of the sort as blocked drain Cheltenham have people on the phones 24/7 365 days of the year dealing with your calls, and that means dealing with your calls not putting you on hold waiting for the right person to speak to you, because at blocked drain Cheltenham there isn’t a wrong person to speak to. Call today! 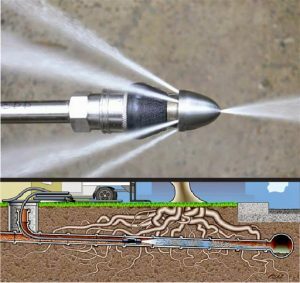 High pressure water jetting is used for tougher cases where the blockage has hardened, or where the blockage is caused by foreign objects entering the drainage systems. Although many blockages are inevitable, there are preventative steps you can take to ensure they don’t happen. Disposing of objects like nappies and sanitary objects in the bin rather than flushing them down the toilet decreases the risk of causing a blockage in your bathroom drains. 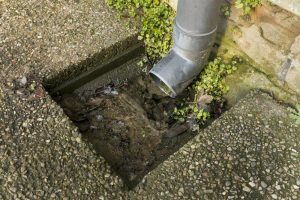 A blocked drain will never go away on its own, so it is important to call Blocked Drain Cheltenham as soon as you notice the warning signs of a blockage. 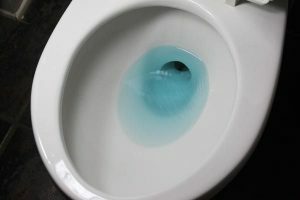 When Andrew found a bad odor coming from his kitchen sinks, he became concerned about the water not draining properly, so he called Blocked Drain Cheltenham. Our team operate 24 hours a day, 7 days a week. And we are fully equipped to handle any task. So you can rest easy. An you can know that there is always someone on hand. Blocked Drain Cheltenham will respond to your call. Andrew knew he could rely on Blocked Drain Cheltenham because our team have years of experience in the industry and come highly recommended from both past and present clients. We were able to respond to Andrew’s call within 2 hours. And we had his system repaired in no time at all. That left him to get on with the rest of his day. And there were just minimal interruptions. Blocked Drain Cheltenham understand that it may seem easier and cheaper to try and fix the problem yourself, but this often leads to additional unnecessary problems that cause more damage and more expense, which is why we recommend calling Blocked Drain Cheltenham for a drain engineer you know you can rely on. Here at blocked drain Cheltenham we provide the people of Cheltenham and the surrounding areas with a dyno rod like blocked drain Cheltenham service at a competitive rate with fast response times and our dedication of being around 24/7 365 days a year and available at any time to come and sort your drains out no matter what the problem is. Blocked drain Cheltenham don’t just come and unblock your drains, we also deal with a whole bunch of other services such as drain repairs and also diagnostics work to get to the bottom of your drain problems whatever they may be. With Blocked drain Cheltenhams CCTV Surveys and the latest in high pressure water jetting technology to get you through any tight scrape, blockage or other drainage issues that you might have! Blocked drain Cheltenham offer the best dyno rod like service in the Cheltenham area running 24/7 waiting for your drains to be blocked so we can come our and sort them for a competitive rate. Call us now and ask one of our trained advisors about our great services and the competitive rates you can have them for, blocked drain Cheltenham have all the tools and experience for any blocked toilet, sink, shower or drain, whether it’s an internal blockage or an external blockage, or whether it’s a commercial blockage or a residential one, blocked drain Cheltenham make sure we have the right package to suit everyone’s drains, and more importantly your pockets. Call today! Although many blockages are inevitable, prevention is the best solution and we always use the very latest technology and preventative methods to ensure that you don’t encounter the same problem again, saving you time and money. Blocked Drain Cheltenham value customer satisfaction as our top priority, and we aim to provide every client with the very best service for the best prices. We offer genuinely low fixed prices with no additional call out fees or hidden costs, so you’ll always have a clear idea of how much you’re paying beforehand regardless of how long the job takes to complete. It can be a lot of stress and effort when you find a blockage in your home, most of the time they come at the worst time possible from a financial point of view. Most people don’t know that blocked drains are usually avoidable and most times with internal blockages the owners have actually caused the blockage themselves. We’ll start with what causes a blockage and then move into how to avoid this. 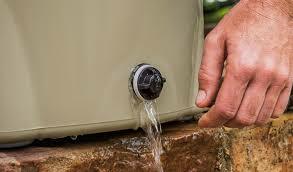 The first type of blockage to avoid is an internal blockage these are things like your kitchen sink and your toilet. The most common causes of these types of blockages are build ups of fats and oils (kitchen sinks) and hygiene and sanitary products (toilets). 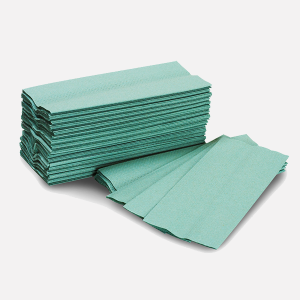 This means that the causes of internal drain blockages can usually be avoided with some careful disposing of these materials and fighting the urge to flush them down the toilet or wash them down the toilet. External drain blockages are harder to prevent, this is because the main causes (tree roots and piles of leaves) are natural, this means we can’t predict them as well. Not to worry as we don’t just unblock drains we can actually help you prevent blockages by cleaning your pipes. 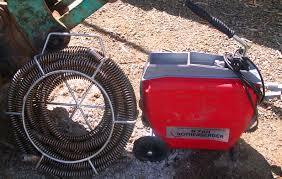 Using rotary mechanical drain cleaning equipment inserted in your pipes a spring with a cutting arm is fed through the pipes clearing and descaling your pipes until they reach their original diameter. Call us today and see what we can do for you, our lines are open 24/7 and we’ll always be able to help with your queries. Here at blocked drain Cheltenham we use the latest and greatest technology to unblock drains, when it’s needed of course. It’s up to our professional drain team to assess the situation and make it as cost effective as possible for the customer, and them as well. Blocked drain Cheltenham get to you in lightning speed and that’s how we maintain the business of the people of Cheltenham and the surrounding areas. 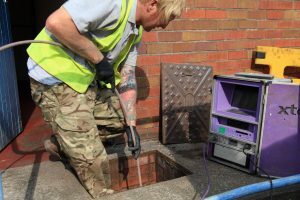 Blocked drain Cheltenham aims to make the service of getting rid of your blocked drain Cheltenham as simple and as easy as it can possibly be especially in an emergency, we want you to be stress free, in what could already be a tense situation. You’ll be calmed by our professionalism for our blocked drain team right through to our office staff. Blocked drain Cheltenham gets to you fast, our prices are competitive and we have all the right tools, skills and experience for any blocked drain no matter the size or locality. Call today and see if we can’t come and solve your blocked drain Cheltenham misery. Here at blocked drain Cheltenham we deal with all sorts of jobs such as, blocked commercial drains, to blocked residential showers and toilets etc, to massive industrial drains, from internal to external blocked drains and blocked drain Cheltenham even deal with drain repairs to and can diagnose any problem you may have with your drains with our CCTV drain survey. And what’s more is our prices are based on beating our competitors with that in mind blocked drain Cheltenham don’t charge for call outs and don’t charge VAT either. With over 20 years experience blocked drain Cheltenham continues to be there for the people of Cheltenham and the surrounding areas and continues to provide our 24/7 365 day a year assistance to everyone in the area if and when they need it. When you call us up we’re not looking to sell you services you don’t need that’s why our trained advisors are on the other end of the phone line waiting to advise you and look for the best and most cost effective way of resolving any drain issue you might have. Blocked drain Cheltenham won’t make you speak to automated messages or put you on hold for half a day waiting to speak to the right person, this is because at blocked drain Cheltenham there isn’t a wrong person to speak to. Just another way blocked drain Cheltenham make sure every customer or potential customer feels welcomed and like we’re actually listening to your issues rather than just trying to get a hand on your money, this is because we do care and we aren’t trying to sell ourselves to you at every possible oppurtunity, if you need us we’re here to help. So Here at blocked drain Cheltenham we’re very proud that we’re able to offer our competitively priced drain unblocking services to the people of Cheltenham and the surrounding areas, But why would you come to us and not your normal plumber or a dyno rod. Well that’s what we’re here to tell you about, the true benefit of using blocked drain Cheltenham instead of any of our competitors. Blocked drain Cheltenham know it’s never a pleasant feeling when you find you have a blocked drain, these things can often be smelly and very stubborn we know that at blocked drain Cheltenham and that’s why we have made our system totally stream lined and totally easy to use as to not cause you any added stress on top of the stress from the blocked drain already. Blocked drain Cheltenham are so quick to get out in an emergency situation, and one of the biggest benefits of using blocked drain Cheltenham is the fact that on top of our seriously competitive prices as well as being quick, blocked drain Cheltenham don’t charge you for a call out, we just charge you for the work carried out. Call today and see if we can’t come and sort your drains out! So if you need an emergency call Blocked Drain Cheltenham today and speak to one of our trained advisors for help and guidance, as well as a free no obligation quote. 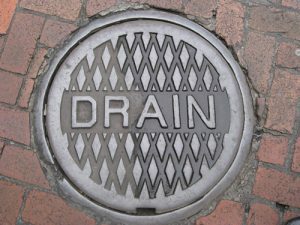 If you’ve got a problem with your drains, call Blocked Drain Cheltenham. It is important that you call as soon as you notice the warning signs of a blockage. Whether you’ve found a bad odor coming from your sinks or if the water in your toilet isn’t draining. Don’t hesitate to call us immediately. Our team of professional, dedicated drain engineers work 24 hours a day 7 days a week, so there is always someone on hand ready to respond to your call. Blocked drain Cheltenham realise that you’re probably not going to throw a party on finding out that you have a blocked drain or a blocked toilet, or any sort of blockage. Blocked drain Bristol also know that you’re probably going to want to get it sorted sooner rather than later, especially if it’s a blockage that’s got a bad odor with it. That’s why blocked drain Cheltenham think you’ll be happy to find out that we’re open 24/7 365 days of the year, so next time you need someone local to you with the right equipment for any type of blockage, big or small, internal or external. Blocked drain Cheltenham just want to make it simple for the people of Cheltenham to get someone out to unblock their drains any time any place any size drain. Blocked drain Cheltenham starts this off with our simple and easy to use phone line where you can call and talk to one of our trained advisors, who will tell you what you need and quote you for the job. If you’re happy with the quote we’ll send someone out to unblock your drains right away. Call today and see what we can do for you today! 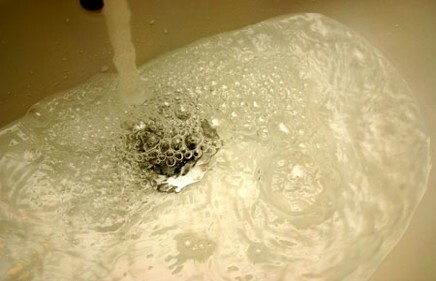 Although we cannot list all the causes for a clog or a slow running drain. There is one universal quick way to make sure that you have the right solution at hand at a time when you need it mostly. Get in touch with the skilled blocked drain Cheltenham service team to find the help you need to unclog your drain now. Sticky issues, persistent slow flow and fast solutions are part of what blocked drain Cheltenham service crew members are always ready to help with. Fast, equipped and happy to give advice and suggest long term solutions for your slow flowing drains. At competitive prices. Your reliable service staff is always ready. 24 hour service is natural to us. Understanding well that fast unblocking solutions are needed around the clock. Blocked drain Cheltenham are fast to where you are. Troubleshooting and arranging for your issue to be resolved is made an urgent priority. Especially in high stress situations such as when you are running a business which is reliant on clear drains or similar. A blocked drain Cheltenham technician is always available to listen. Speak to us about your issues and concerns at any hour. And ensure that your home and business drains are given the appropriate attention and care for maximum flow and ease for you. Don’t let a blocked drain Cheltenham get in the way of your daily dreams and targets. And save our contact for full access to our 24 hour emergency service which you can make use of any time. Speak to our technicians at any time for more information and rest assured that our priority is always to keep your clear your blocked drain Cheltenham in a fast and convenient way for you. Over the years here at blocked drain Cheltenham, we’ve seen some grueling jobs and tough drains in our time, for example blocked external drains on construction sites that have been blocked with cement, and sometimes we get the odd toilet blockage that can prove just as difficult. Although our equipment in the industry in general has improved massively the main causes of blocked toilets have always stayed the same. And we’d even go as far to say the most common cause of a blocked toilet in carelessness when disposing of materials. If you could stay away from disposing of these few main culprits for blocked toilets down the toilet then you could save yourself some time and money, when we have to come and clear your blockage for you. It might not seem like the best business model, telling our potential customers how they can avoid using our excellent services? Well we don’t care, the only thing we care about is unblocking drains and if we can do that before they even get blocked then that’s mission accomplished for us. To prevent a toilet blockage we must first look at what the main causes are, the main causes for residential toilet blockages are things like sanitary products, paper towels, and ear buds. And if the homeowners had been a little more careful with what they were flushing down the toilet they could’ve saved themselves a lot of hassle. If your drain or toilet is already blocked, what are you waiting for? There’s never a bad time to call and we’ll always be able to speak to you to get your issue resolved as quickly as possible! When Barbara called last week about the water in her shower draining slowly, Blocked Drain Cheltenham were able to respond to her call within 2 hours and restored her drains in no time at all. Barbara knew she could rely on us to provide her with the best service available, as our team have years of experience in the field and come highly recommended from both past and present clients. We value customer satisfaction as our number one priority, and we aim to provide every customer with the highest quality work for the best prices. Blocked Drain Cheltenham offer genuinely low fixed prices. There are no hidden costs or call out fees. So, like Barbara, you’ll have a clear picture of how much you’re paying. It doesn’t matter that all these different blocked drain situations are there. And it also does not matter how long the job takes to complete. We understand that sometimes it may seem easier to try and fix the problem yourself, but more often than not this leads to additional unwanted problems that can cause more damage to your drains and are more expensive to repair. That is why we recommend that you call Blocked Drain Cheltenham as soon as you notice the problem. So if you need an emergency drain engineer, call Blocked Drain Cheltenham today and speak to one of our trained advisors for help and guidance, as well as a free no obligation quote. If you’ve got a problem with your drainage systems, call 01242 352 766 Blocked Drain Cheltenham. Our team of dedicated, professional drain engineers operate 24 hours a day 7 days a week so you can rest assured that there is always someone ready and waiting for your call no matter what time of day or night you need us. Customer satisfaction is our top priority and we aim to provide every customer with the very best service for the best price. Blocked Drain Cheltenham offer genuinely low fixed hourly rates with no call out fees or hidden costs. You’ll always have an idea of how much you’re paying beforehand, regardless of how long the job takes to complete. 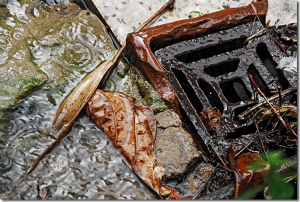 A blocked drain will never go away on its own so it’s important to call us as soon as you notice anything troubling about your drains. 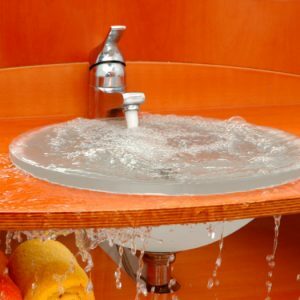 Blocked Drain Cheltenham believe that prevention is the best solution, and while some blockages are inevitable we always use the best preventative methods to ensure that you are not faced with the same problem again, saving you time and money. It may seem easier to try and fix the problem yourself, but this can often create additional unwanted problems that are more costly, which is why we recommend calling Blocked Drain Cheltenham and speaking to one of our trained advisors for guidance. Most jobs can be completed within an hour and with a guaranteed call out time of 2 hours we will take care of your drains swiftly and efficiently, leaving you to enjoy the rest of your day with minimal fuss or disruption. So call if you need an emergency drain engineer, or if you would like some help and advice. Call Blocked Drain Cheltenham today and speak to a member of our team for a free no obligation quote. At Blocked Drain Cheltenham we work around the clock providing high quality drainage and groundwork’s services. If you find yourself with a blocked drain in your home or place of work, the specialists offer emergency cover with a guaranteed call out time within 2 hours and a genuinely low, fixed price. Dealing with all manner of drainage problems, including blocked drains, sinks, showers, toilets and more. A blockage can be a cause for a real inconvenience to your day. That is why the professionals work around the clock 24/7. Our aim is to ensure that there is always someone on hand to help. And we offer our help at short notice. It happens whenever you find yourself with a blocked drain emergency. Blocked Drain Cheltenham also offer other drainage services such as CCTV camera surveys, high pressure water jetting, root removals, drain re-lining, excavation, drain maintenance, blockage prevention services, home buyer CCTV surveys, manual rodding, sewer repairs and more. Here at blocked drain Cheltenham we’re trying to provide the best dyno rod like blocked drain service in the Cheltenham and surrounding areas, and in order for us to provide that service to the best of our abilities blocked drain Cheltenham need to be prepared for anything that includes, internal or external drains, commercial or residential blockages, big or small, far and wide, blocked drain Cheltenham have you covered for any blocked drain issues you may have. Blocked drain Cheltenham also knows to offer the best service possible our prices must be competitive, and our prices are just that, blocked drain Cheltenham also gets to you fast in an emergency and if it’s not an emergency we can still get our blocked drain specialists to come and clear your blockage today! It’s never been easier to get your blockage cleared in Cheltenham with the blocked drain Cheltenham team always around for if and when you need us. Knowing there is a specialist Blocked Drain Cheltenham team readily available for any of your drainage emergencies can significantly decrease the amount of stress and pressure caused by a blockage in your home or business property. Offering commercial and residential services for low prices no m atter how big or small the job. Or contact our partners in Manchester if you are in that drain area. If you notice a blockage, it is vital you get in touch with one of the drainage professionals to resolve the problem and clear the blockage before the problem gets worse and creates additional problems such as back up’s or even flooding. Sometimes a blocked drain is just inevitable, but there a number of simple ways you can help to prevent them occurring within your home and can save you stress, time and money. Here at blocked drain Cheltenham we know it can be a massive pain in the neck when you find you have a blocked drain or toilet or any sort of blockage, and it can be an even bigger pain trying to find someone local, who’s available, and who has the right equipment for any type of blockage, that won’t cost you an arm and a leg. Well if you have a blocked drain Cheltenham, you don’t have to worry about that because blocked drain Cheltenham have you covered, we’ll get to you fast, our prices are competitive, and our service is nothing but professional. Blocked drain Cheltenham train all of our team before allowing them to go out to someones home or business, this is because we want you to feel safe in the knowledge that you’re receiving a professional service and no matter who we send, our blocked drain Cheltenham team will be able to unblock your drains. What’s more is that we also heavily vet and CRB check our potential team members before letting them join, this is because to us it’s equally as important that we send you someone who’s trustworthy than we send you someone who’s capable of the job, and we’d never send you someone who wasn’t capable of the work. Call us today and see if we can’t send you someone to unblock your drain, we won’t make you speak to automated messages, and we won’t put you on hold for half a day waiting to speak to the right person, because here at blocked drain Cheltenham there isn’t a wrong person to talk to! Call today. Prevention is the best solution for a Blocked Drain Cheltenham and blockages can cause a number of problems which are best dealt with by the specialist team themselves, so don’t hesitate to get in touch if you think you may have some drainage issues. Clogged and blocked drains are issues every domestic environment will encounter at some point. 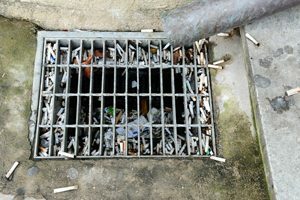 Maintaining a drains health is important for the well being of your family and neighbouring properties combined. 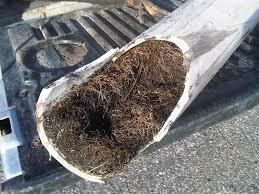 Clogged drains are commonly caused by blockages in the pipes. Hair, food, debris and baby wipes are some of the most common causes of drain blockages. Blocked Drain Cheltenham provide high quality drainage services that you can rely on. The team are more than happy to offer advice and guidance on your personal drainage situation no matter the time of day or night. And we are ready to dispatch a fully equipped van to deal with the situation as quickly as possible. It is important to resolve the issue as soon as possible and get your drains back to full working order so you can continue your day with the least amount of disruption caused. We here at blocked drain Cheltenham know what it’s like when yo find a blockage, they always seem to come at the worst times possible, both for finding the time to call someone out to sort it and financially. Although we understand that sometimes it’s impossible to get things done for whatever reason, blocked drain Cheltenham would never recommend waiting around with a blockage, for a start if it’s a toilet the smell will become near unbearable. But worse than this, blockages can cause more damage when left, and that means more work and ultimately more money. That’s why we work non stop around the clock 24/7 days a week 365 days a year tirelessly working to make sure the people of Cheltenham always have someone to call about their blocked drain, toilet, or sink. You can rely on us, if you’ve got a blockage in Cheltenham, we’ve got the right tools and knowledge to get you back up and running in absolutely no time. Equipped with the latest in CCTV and high pressure water jetting equipment and over 20 years experience you can be safe and sound in the knowledge that our team knows what to do, especially in an emergency. We wouldn’t want you to think our costs represent the level of our work, as our prices are very competitive but our work is nothing but premium. Call today and book you drain unblocking for a time to suit you, you can speak to one of our trained advisors any time any day and we could have someone on their way out to you in a matter of minutes. 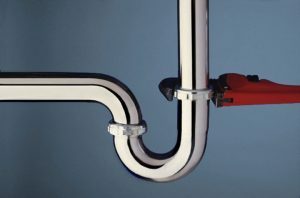 Here at blocked drain Cheltenham we’re drain specialists, so the next time you have a blockage don’t call your local plumber, he might charge you an expensive call out fee and then when he get to your home you might find the tools he has with him aren’t a match for your stubborn blockage. Don’t pay a plumber to tell you he can’t do the job, call us instead. 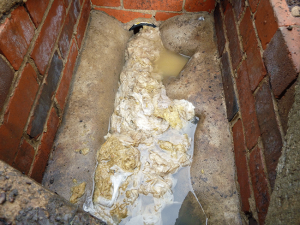 If you’re in Cheltenham and you discover a blockage, internal or external, big or small it really doesn’t matter when you call a blocked drain Cheltenham team to a blockage, you’ll be sure we’re going to get rid of it. We have over 20 years experience and all the right tools to get rid of any type of blockage you may have. From high pressure water jetting to mechanical drain unblocking, you can be sure it doesn’t matter what you’ve got blocked we can fix it. Don’t believe us? Call us and get on of our blocked drain Cheltenham teams to attend your blockage, we’ll get you straight through to one of our trained office advisors who just needs a few details before they can send someone out to your home in a matter of minutes, it’s really that easy. We never make any of our customers talk to robots or automated messages and we certainly don’t like putting people on hold for any longer than a minute. So call today and that blockage could be cleared before you know it! At Blocked Drain Cheltenham of course we can help you with any indoor drainage problems. But people often do not consider their outdoor sewer pipes, which can get equally as blocked as inside and face additional problems that you will need to sort fast! Sometimes we can tell that there is a sewer pipe problem as multiple fixtures within your home are blocking up – if your sinks, showers and toilets are all affected at once then it is likely to be a problem outside of your home. But even if there are no signs, a CCTV survey can provide peace of mind that any outdoor issues can be resolved before they become much larger and harder to handle. 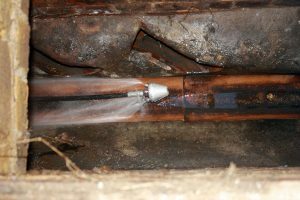 So no matter what the issue is – plain curiosity, your inside drains not draining properly, corroded pipes or intruding tree roots, we will be able to accurately locate the source of the dilemma and implement a fix fast! Here at blocked drain Cheltenham we’re super serious about our customer service and while we think that it’s a good thing not to let what other people think of you define you as a person, in business you haven’t got much choice. Which is why we like to take an active approach to customer service rather than write 3 essays on our website filled with buzzwords and company ethos jargon, to then throw it out of the window when we see you reaching for your pockets. We’d rather take an active approach to customer service. Most people don’t even know what customer service is due to it being used by corporations to get out of tricky scenarios, we love talking to our customers and that’s what we believe true customer service is, having an open dialogue between business and customer and visa versa. High pressure water jetting was first used industrially in the coal mines in the mid to late 1800s for cleaning purposes and was adjusted much later in the mid 1930s to cut sheets of steel. The pressure of the water is measured in psi like your standard tire. The psi Used in cleaning is 2000-3000 psi as any more and it would cause damage to equipment. And for steel cutting the pressures can rise to a whopping 20000 psi which would absolutely obliterate anyone standing in front of it. When we come to unblock a drain we use 2000-2500 psi as to be careful not to damage your pipes. We love high pressure water jetting because it removes having to rip up existing pipework to get to a blockage. Instead we can feed our equipment down into your drain and blast through any blockages we meet along the way in absolutely no time. It’s not just good for clearing blockages though, it’s also great for drain maintenance and twice a year could go a long way to saving yourself some money on an emergency call out. If you have any questions about this service or the equipment, or any other services and equipment we provide then feel free to call us on our 24/7 365 day a year phone line! Have a blocked drain? Don’t wait around we also offer an emergency call out service which is also 365 days a year 24/7. Do you need your drain unblocking now? Give us a call today and see what we can do for you.